A new $1.5 million National Science Foundation grant will train and develop 24 elementary mathematics leaders in the Columbia and Independence Public School Districts. 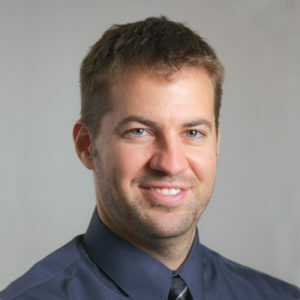 Corey Webel, an Associate Professor of Mathematics Education in the Department of Learning, Teaching and Curriculum, is leading the six-year project, which is a partnership with the University of Central Missouri (UCM) and the Missouri Council of Teachers of Mathematics. Previous research has shown that employing mathematics specialists as leaders in elementary schools is a practical way for districts to improve the mathematical content knowledge of all elementary teachers. “Teaching elementary mathematics is complex and requires more expertise than can typically be developed during undergraduate preparation,” said Webel. Webel said the partnership will allow for the program’s classes to be held in district buildings and will encourage leaders to implement improvements that are tailored to their home districts. The program also features integration with undergraduate teacher preparation at MU and UCM, a component that will help beginning teachers develop foundational mathematics teaching practices. Leaders will earn a master’s degree as part of the program. The project “Supporting Leaders in Elementary Mathematics Teaching in Missouri” is supported by the Robert Noyce Teaching Scholarship Program.